Libraries truly are amazing places! They are gathering places full of resources and information, clubs and groups, stories and song. And most amazingly - they are free. Recommended for babies up to 18 months. Siblings are welcome! Baby Time helps grow the roots of a lifelong love of language, through the power of song and rhymes. Recommended for toddlers 18 months - 3 years. Siblings are welcome! Join in for an energetic half hour of books, rhymes, games, songs and dancing. Recommended for children ages 3 - 6 years. Siblings are welcome! Snuggle up for Pyjama Story Time! Featuring longer books, children will sing, dance and rhyme along. Don’t forget your PJs! When a craft is included the program will be extended by 15 minutes. 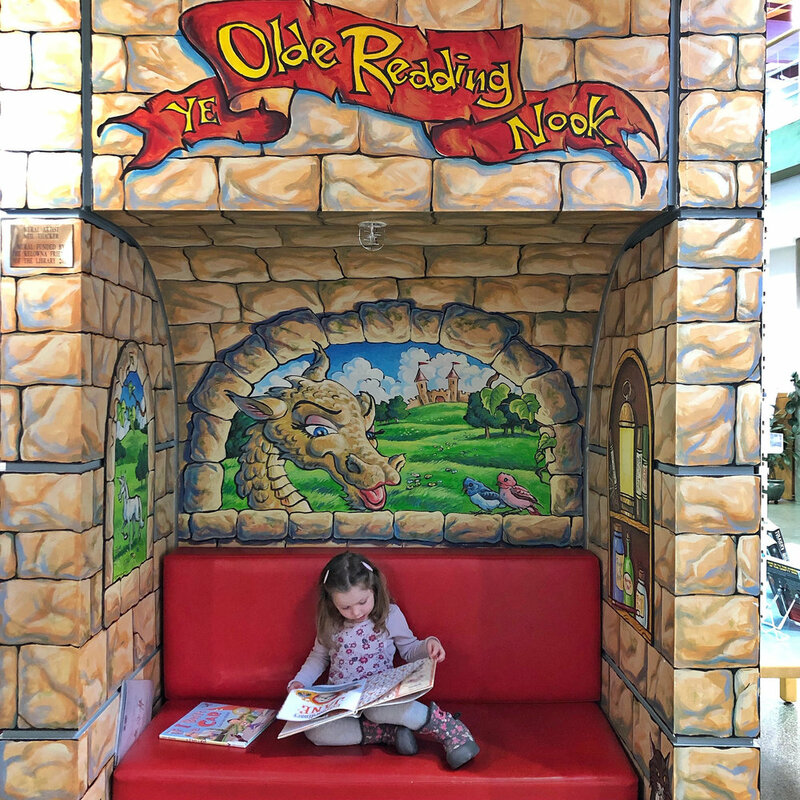 Featuring longer books, children will sing, dance and rhyme for another season of Story Time. Recommended for babies up to 2 years old. Siblings are welcome! Enjoy fun with your preschooler - get ready to read with stories, rhymes, songs and fingerplays. Siblings are welcome! If you've ever wanted to try your hand at writing computer code, Playing with the forces of nature, or enjoying a fun day out with your other scientifically minded friends. Join us at the Rutland Library. Recommended for toddlers 19 months - 3 years. Siblings are welcome! Recommended for children ages 3 - 5 years. Siblings are welcome! Featuring books, singing, dancing and rhymes. Special story time for kids under 3 that puts more emphasis on rhymes and songs. Siblings are welcome! Click here to access the Okanagan Regional Public Library calendar. This will bring up a calendar for all libraries and all events. 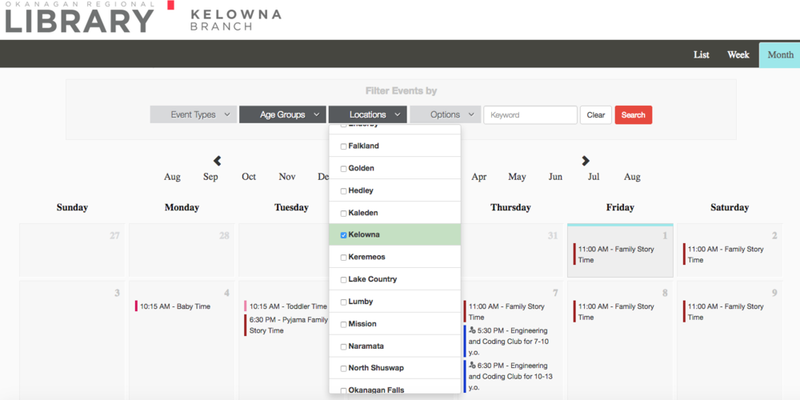 Filter your search by event types or age group (I do the latter), to make sure you get exactly the types of programs best suited for your family. Choose your local library, to find events at locations close to your home. Scroll through the events to find ones that interest you. Click on an event to pull up more information.